Mohair socks are smooth, strong and very hard wearing. Ideal for sensitive feet, warm in winter, cool in summer. Can be washed in your machine and dry overnight. They are resistant to odours because the smooth fibres do not trap the bacteria that causes smells and foot problems. 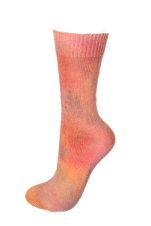 Our sock range covers all needs, smart everyday socks, walking and sports socks and even socks for those with poor circulation. These ranges of socks are hand dyed individually in ranges of subtle or bright colours. They are cheery and totally unique, one of our most popular products. 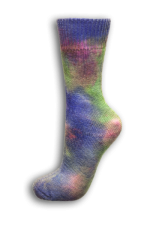 So why not give our multicoloured Angora mohair socks a go and put a little colour in to your life! They last for ages and once you try them we know you will be back for more.